Mego 2018 Gallery updates thread. 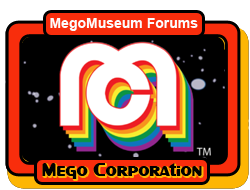 Thread: Mego 2018 Gallery updates thread. IDK, I never liked the hair on the Aztec Mummy, to me that just throws it off stylistically. I'm not saying it wouldn't be a cool monster figure, though. But it's just personal taste, I have really set opinions about voodoo zombies vs. ghouls vs. NOTLD "zombies" as well. We've upgraded the 2018 Mego Gorn Gallery page with new photos and information. Thanks to Mego Corp. for the great photography. More updates coming. The Gorn is a beauty no doubt, hope my local Target gets this guy along with the Romulan, that would be a nice one-two punch pick up for me. I saw this movie the other night and had the best belly laugh I've had in a while. Any director who dares to place a werewolf on the interstate as a dramatic moment clearly had more than one sip of the good stuff while filming this. I guess I should be grateful he didn't have Lon chase the cars. But what really takes the cake, is the scene near the end where a scientist is pounding the werewolf with every prop he can get his hands on. At point he runs out of chairs, so he goes for... wait for it... wait for it... a pillow. Yep. He actually throws a pillow at the werewolf. Eh... it worked as well as the chairs. Lon had no dialogue in this film unless you count growling and howling. Somehow I find that a blessing. This Werewolf figure is a must-have for everyone. I would consider passing on a hard copy of the movie as a companion piece. The figure has higher production values. Last edited by MIB41; Nov 9, '18 at 10:43 PM. I distinctly remember my friend who discovered this movie calling me and laughing about the pillow.